Quick note: We're hosting a webinar with Nucleus Research and Google about how to build your IT stack to maximize ROI. Grab your spot now. When it comes to scaling a business from $0 to millions in ARR, nothing beats the hard-won lessons of experience. And experience is not something Craig Walker is short on. From building and selling his first VOIP product to Yahoo! 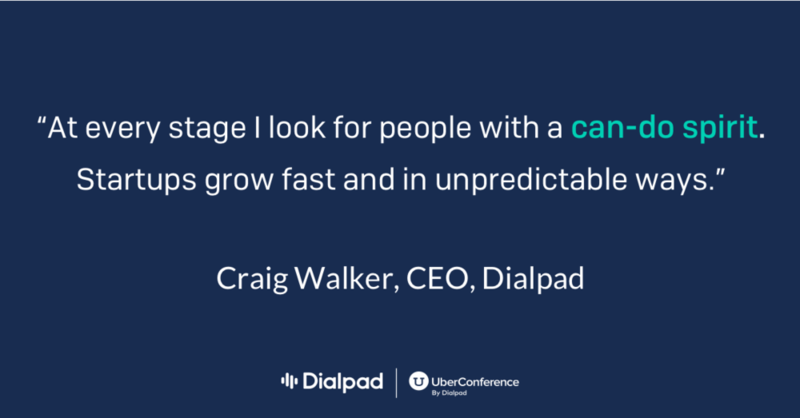 In 2005 to launching the venture that would become Google Voice, Craig Walker knows first hand the turbulent conditions every startup must endure and the critical decisions that must be made at the appropriate stages of growth in order to succeed. 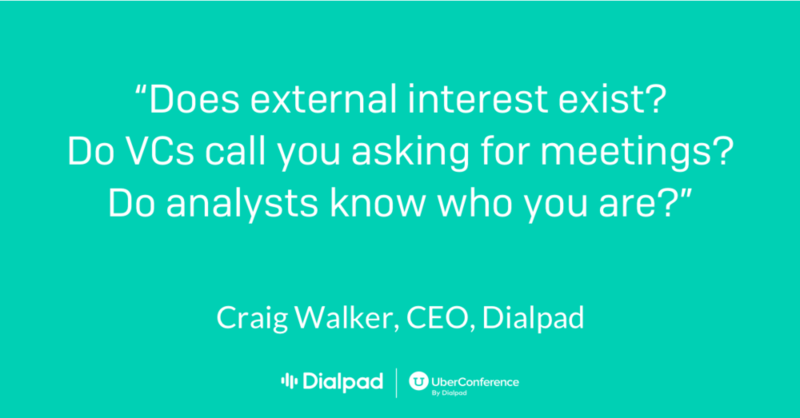 We asked Craig to share his thoughts on product, people, avoiding (and learning from!) pitfalls and scaling globally. 1. What are the three top indications that a product or company is ready to scale? It starts with the product. Are the types of customers that you would want and expect to use your product actually using it? That's always step one. If they are, then it’s safe to say that there's a good product/market fit and you can move on to the next issue. Next, think about your people. Are they motivated and excited? They deal with customers, know what's in the pipeline, and generally are a great measure through the vibe around the office to indicate if the company is on the right or wrong track. 2. What character traits are essential in the people you should hire as you reach for the the first $10 million in revenue? What type of characteristics do you look for in people at the next stage? At every stage I look for people with a can-do spirit. Startups grow fast and in unpredictable ways. I love employees who want to have broad responsibilities and who can apply the basic tenets of hard work and do the right thing to everything they're working on. These people are the ones that give you flexibility and speed and generally have the best attitudes as well. 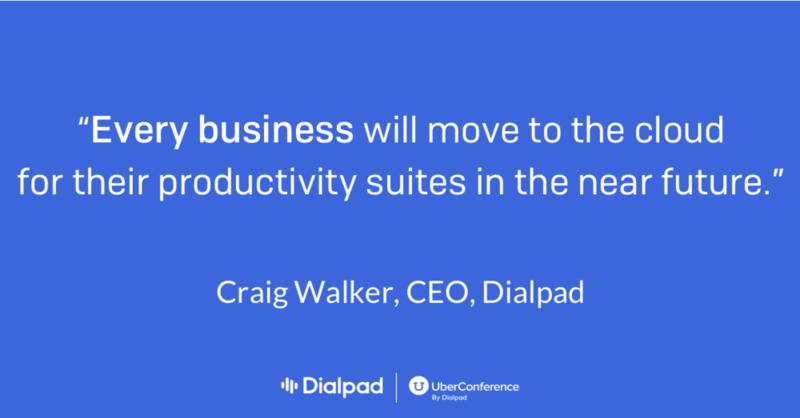 Since 2012 we've been able to build two products (UberConference and Dialpad), build web, desktop and mobile apps for each on every platform, expand internationally and support the largest corporations. That's pretty impressive for a team of 160 and that could only be done with these types of employees. 3. Why is it important to build an IT stack that scales globally? The future is always changing. Some of the truths that we are certain of are (1) that people like using their mobile phones for virtually everything, including work, and that they will always have their phone on them and be connected at virtually all times, and (2) businesses are realizing that moving their own services to the cloud gives the business increased productivity and lower costs and every business will move to the cloud for their productivity suites in the near future. As such, building an IT stack, or in our case a communications and product platform, in a manner that scales globally is a key to our success. No matter where our customers take us or where the greatest demand is, we can easily scale our platform to support those users anywhere. Do you know the ROI of your IT stack? We're chatting with Nucleus Research and Google Cloud about how you get the highest ROI with Dialpad’s pure-cloud modern business communications solution. 4. When experiencing hockey stick growth, what kind of mistakes are easy to make and how do you safeguard against them? The biggest mistake I see during expansive growth is that companies often lose their core philosophies. They start to try to do everything in every market. They hire specialists and a lot of middle managers, and ultimately lose their culture, their vision and their passion. Personally, I try to keep the same culture and focus so that we can continue to do the great things that got us to this point. We try to hire people who are drawn to our culture of inclusion, collaboration and honesty. We started doing certain things when we were a very small company that we still do today even though we're much much larger. For example, we host a weekly Friday at Four meeting, where we update the entire company on the highlights of the week, and where anyone can ask me any question. We share material, nonpublic information with all of our employees and its has never once leaked - we do so because we trust them and we want everyone to feel included and to know what's going on with the business. 5. You’ve created really successful B2C companies with Yahoo Voice and Google Voice - how has your approach changed when serving the needs of the B2B market? I think the B2C background is perfect for making B2B products because at the end of the day, the end users are still people (aka consumers). Building for the user and trying to make their experience wonderful and delightful is a key to our vision and it separates us from all of the other enterprise competitors we have. Obviously the demands from the enterprise for reliability and security are high, but they should be for consumers as well, so we've just inherently always included those concerns in all of our products.